By emsilees09	Awesome Finds: Deals, Freebies, Etc. 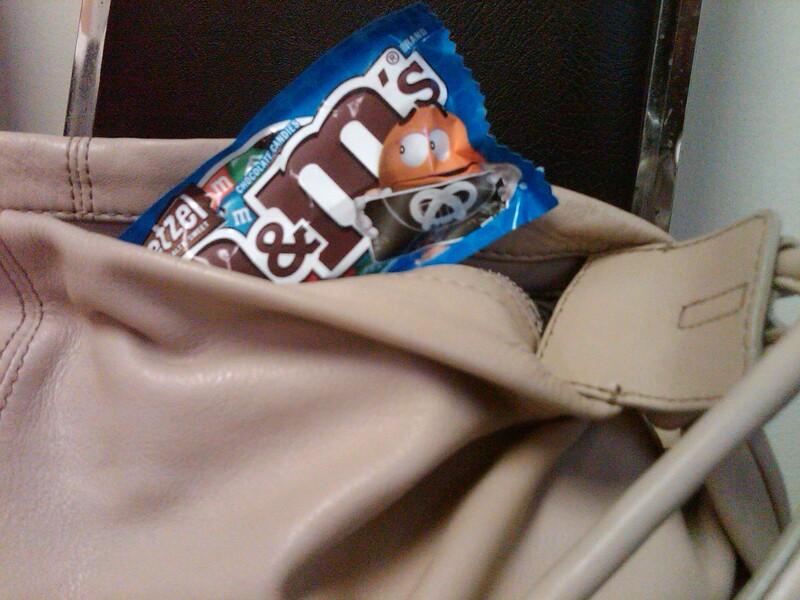 Peeking out my my bag, to be demolished as a 3 PM pick-me-up snack, are the NEW pretzel M&Ms, which were being handed out in Herald Square. Though I usually climb out of the PATH station on 34th St. slightly perturbed by the NY Metro guys shoving newspapers in my face, my frown melted away as I heard, “Free M&Ms!” “Free sample!” I immediately looked up and scrambled over the people in blue tee shirts and large messenger bags filled with the chocolately treats, and held out my hand. Gimme. Mine.